In May of last year, Peder Mannerfelt released one of the year’s most intriguing and challenging albums on Yves De Mey and Peter Van Hoesen's Archives Intérieures label. 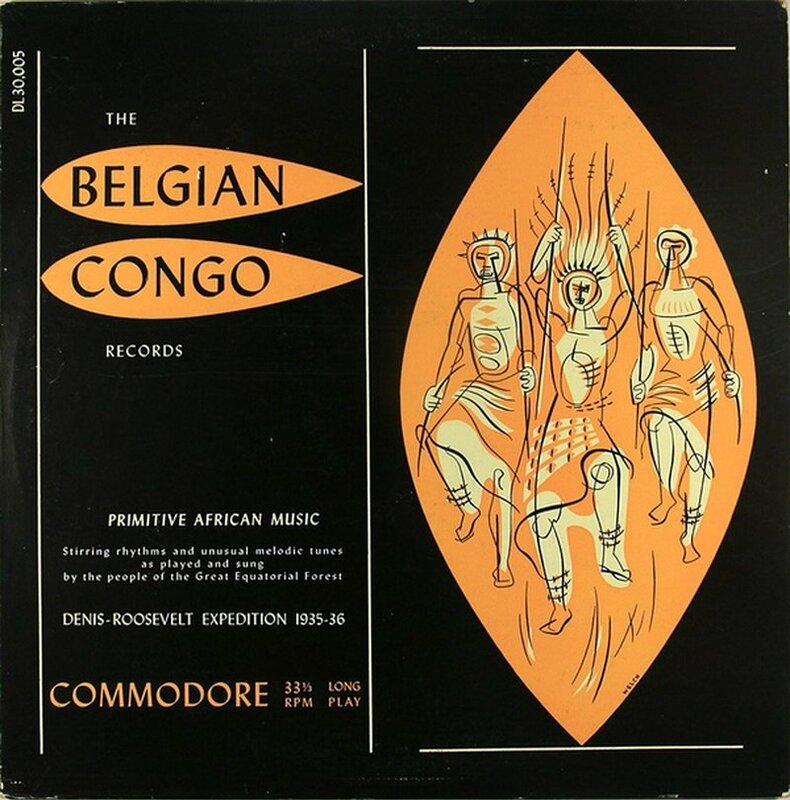 ‘The Swedish Congo Record’ is based on an obscure 78 rpm release by Belgian filmmaker Armand Denis, who was one of the first Europeans to capture the sounds of Central Congo. Released in 1950 as ‘The Belgian Congo Records’, the material is used by Mannerfelt as a springboard for an ambitious electronic recreation and reinterpretation of sounds recorded in the Great Equatorial Forest during an expedition in the 1930s. 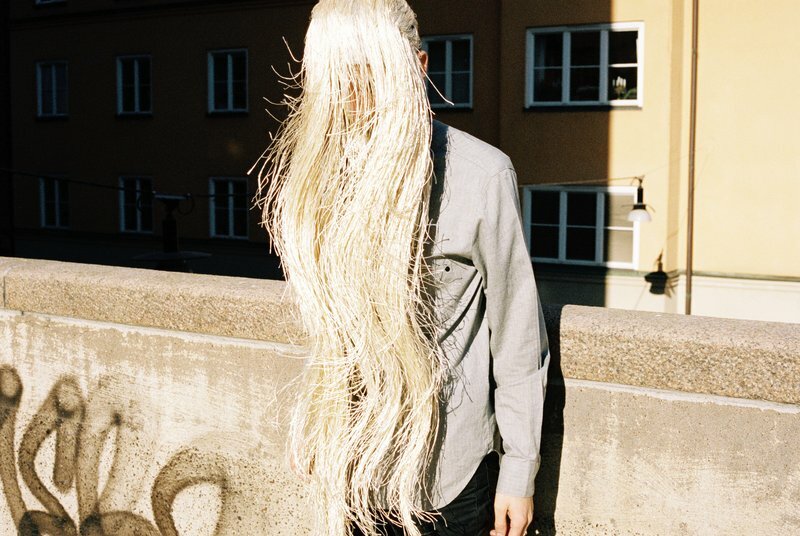 Mannerfelt has released under a variety of guises over the past decade, including as The Subliminal Kid, Roll The Dice, and as a collaborator with Fever Ray. With ‘The Swedish Congo Record’, a growing interest in the music of traditional African cultures led him to Denis’ ethnographic recordings. Developing a concept whereby his interaction with the material went beyond that of sampling, (and thus potential claims of cultural appropriation / exploitation), Mannerfelt reshapes the music into new forms, drawing on the rhythmic and textural complexity of the original material to create something thrillingly dense and original. The project invites questions around the topics of Western European colonialism, as well as serving as a reminder of the brutal exploitation of the Congo and the deep scars left on Central Africa as a result. As the artist prepares to present the album in a live context as a part of CTM in Berlin, we catch up with him to find out how the album came about. Did the Swedish Congo Record come out of a long-standing interest in non-Western music / “ethnographic” recordings? What was it about this particular record that interested you musically and on other levels? It all came from me searching for new music and heading down a spiral of ”world music” through buying a lot of traditional African music a couple of years ago. My original intent was to use the records as sample material but the more I got into these types of records the more I felt that they were already complete and it was kind of disrespectful for me to just grab the music and stick an 808 kick underneath. So I felt it was a bit more honest of me to try and recreate one of these records in whole using my techniques and knowledge of music production. I see it as making cover versions of the music on that record. The reason why I chose this specific record is that it's one of the earliest recordings of native African music - recorded in what was then considered the Belgian Congo in the 1930s. The low fidelity of the recordings made the source kind of hard to pinpoint and lead to a bit of ambiguity in the music, which was a big hurdle for me to overcome, but it came to a point where I could use that ambiguity to my advantage and leave some space for my personality to filter through. This record certainly touches on multiple charged issues including race, exploitation, colonialism and cultural appropriation. To what degree is this record a political statement, and what kind of reaction do you expect from listeners? It’s a very political record and I’m a bit amazed that I haven’t got more criticism for it. My intention is to bring these subjects to the surface - sampling is such an integral part of modern music making and it could probably be good if you take a minute to consider why you are sampling such and such record, and what that in itself means to the music you are making with it. I love sampling and music made out of samples, I think it’s one of the most inspiring forms of production. But it’s also good to try and work from the opposite end sometimes, and I guess that's what I want to highlight with this project. The discussion about appropriation and colonialism is also something I wanted to raise. I’m not saying this record isn't an example of appropriation and I’m more than happy to engage in a wider discussion on these matters! "...take a minute to consider why you are sampling such and such record, and what that in itself means to the music you are making with it." What was the technical process of transforming these recordings into the tracks that became the album? Was there just one ‘method’ that you developed or several? Well it started out as more of a research project for me, my original plan was to learn a bit more about polyrhythms and drum synthesizing though recreating these pieces of music. I thought it would take 3-4 weeks, I ended up spending most of 2012 working on the music going deeper and deeper down the rabbit hole. With every layer of sound and music I deciphered, two more would appear. There was not a given formula to anything in the process. I tried a lot of different programs and algorithms to try and auto-generate the rhythms and harmonies, but given the complexity and non-Western nature of the music the result came out sounding really bad and I had to recreate every note from scratch by simply listening over and over again to the tracks. I’m sure my lack of musicianship made it that much harder but I feel that through this process it took on a life of its own. It went from something pretty dry and academic to a little world of sound and I guess that’s why it’s so appealing to people. The music evolved from me scratching my belly and twisting some knobs to a very communal and inviting record. For the vocal parts I started using this technique called formant filtering which basically uses EQ's and fixed frequencies to synthesise vowels – that’s why everything only goes “AAAEEIIIOOUUU”. I feel that it’s the vocal things that sets these recordings apart - it’s what's most interesting to me about the original recording even after spending so much time listening to it. How are you planning to transform this into a live presentation for CTM Festival? I have been pretty hesitant to transform this into a live situation, mainly because of how personal I feel this whole project became after spending so much time with it. I wasn't sure I even wanted to release the music, it sat on my hard drive for well over a year before I presented it to Peter and Yves. Despite all of this I got a great opportunity from the CTM festival to try and present this to a live audience. I didn’t want this to be a solo show by me because the original music intention and creation is so communal, so I asked Liliana Zavala (who played in Fever Ray with me) to help me out. She had already helped me transcribing some of the rhythm patterns for the album so it felt very natural to involve her in the live presentation as well. Basically it’s gonna be Liliana plus two more percussionists, Maria Olsson and Diva Cruz. They will play the rhythms live but instead of the acoustic sound of their drums we are going to run piezo trig mics to trigger a bunch of synths that I will be in control of. Im also bringing Malcolm (with whom I have a project called Roll The Dice) along to play the vocal parts on a synthesizer. To be honest I don’t really know how it's going to turn out as we haven’t had the time to properly rehearse it yet, but I’m very confident in the musicianship of the people I’m presenting this with and I’m sure it's going to be something completely different to what I’m imagining. That’s pretty much true for everything regarding this project, it doesn’t really feel that I’m in control myself. It has taken it's own path from the onset and all I can do is try to hang on for the ride!